The Vogue Spring collection is here! 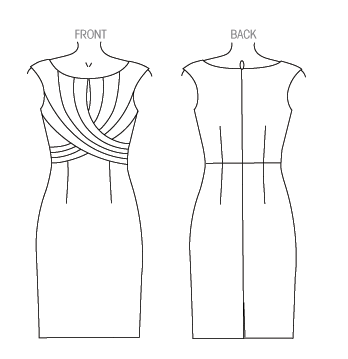 I’m actually finding quite a few patterns that have interesting seam details and really flattering shapes. There are also a lot of simple basics with nice details, so, a lot of great pieces that could be very practical for use in a wardrobe. Love the seam details on the back! These sorts of subtle goodies are peppered throughout this collection. other than the leg slit. 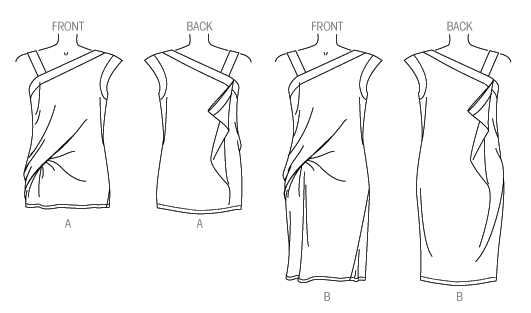 V1437 – Ralph Rucci. LOVE this! The jacket is super cool. this whole outfit fit together so well. might be kind of cool, but I’m not sure how I feel about it on the model. Maybe in a different fabric color combo I would like it more? 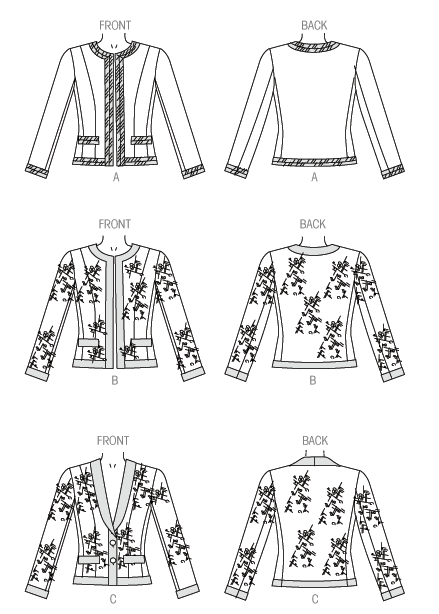 V9096 – This looks like it should be a designer Vogue pattern, but it isn’t! 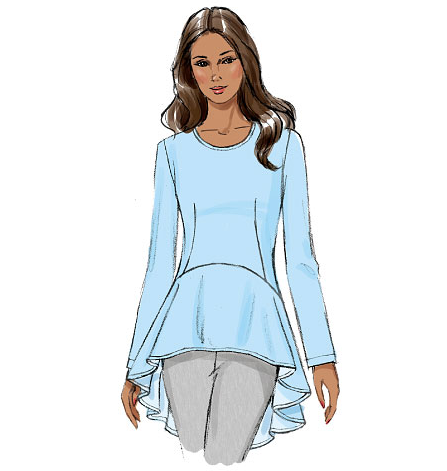 The swirly seam details are really interesting… could be very fun to color block. party dress, but I do like the cut of the bodice. And pockets are nice. V1432 – Kay Unger. LOVE the details of the top. Another that could be fun to color block. This will definitely join the stash. Love the seaming details. Lovely. V1433 – Tracy Reese. A bit plain, but obviously works well for prints. Not sure why there was the decision to use the bow tie closure on the back. But look at the details on the jacket and the top! This is so going on my wishlist. length would be the best for me, but it would be easy enough to lengthen it. but I actually really love the fabric combos here. 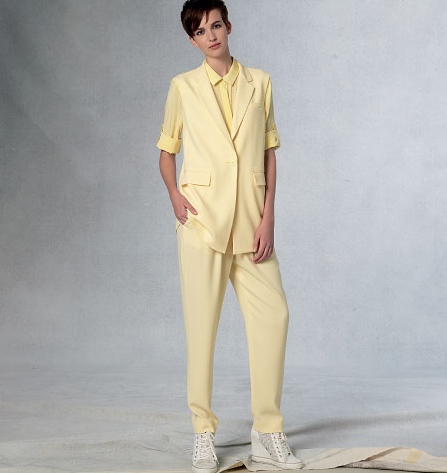 Doubt this is something I would actually wear, but I’m enjoying looking at the pictures. V1436 – Anne Klein. 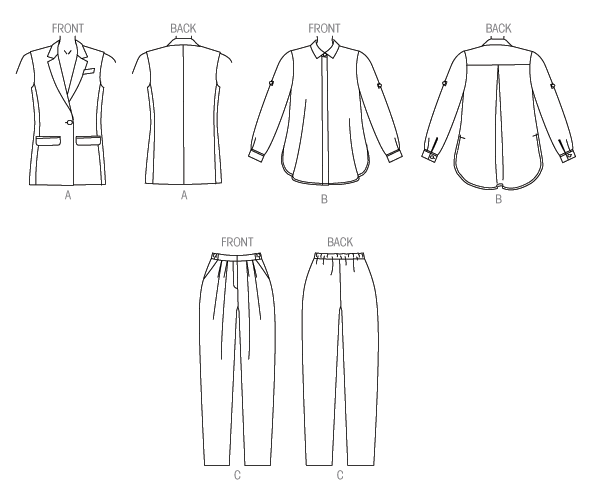 Really practical pattern, as it includes both the top and the pants. V1438 – DKNY. I feel like I’m looking at a faded outfit from the 80s. Not really a fan of the 80s. This is a total pass for me. 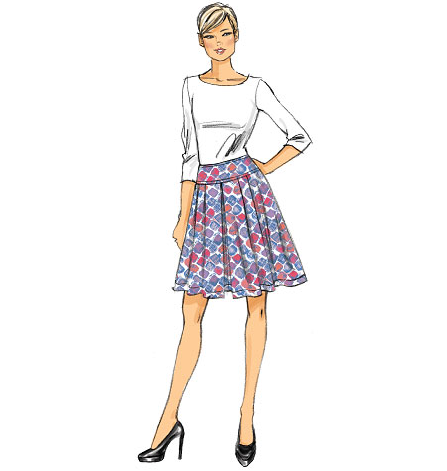 V1443 – Today’s Fit by Sandra Betzina. I guess the interesting bit is the angles sleeves? Otherwise just a large tunic. 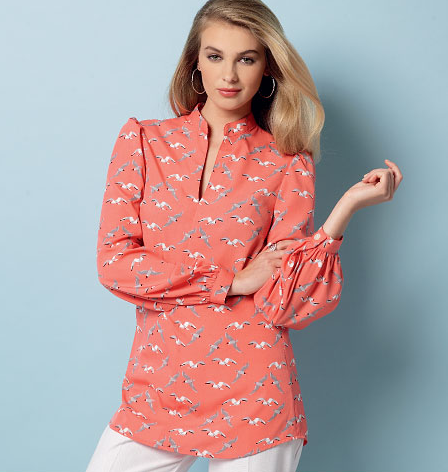 to be running around in giant poofy button front shirts by the start of spring. V9081 – Marcy Tilton. The dress is simple, but the jacket is interesting. I’m not sure if it is cool interesting or messy interesting, but, well, interesting. 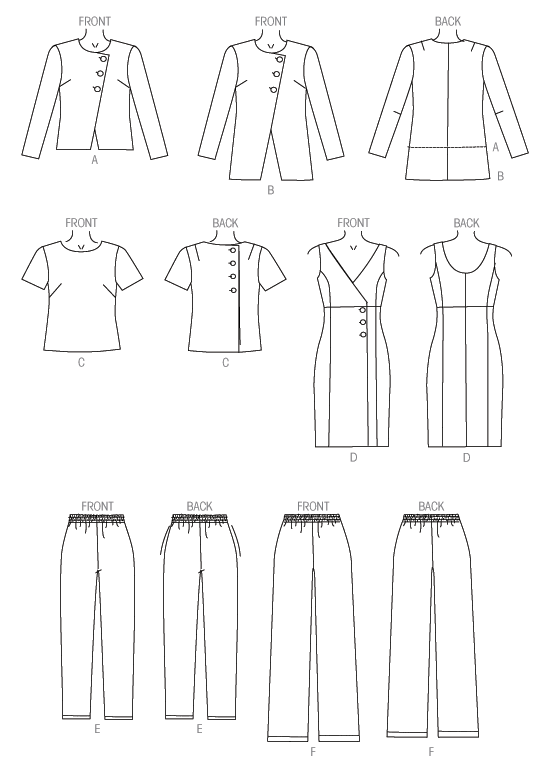 V9094 – Vogue Wardrobe. 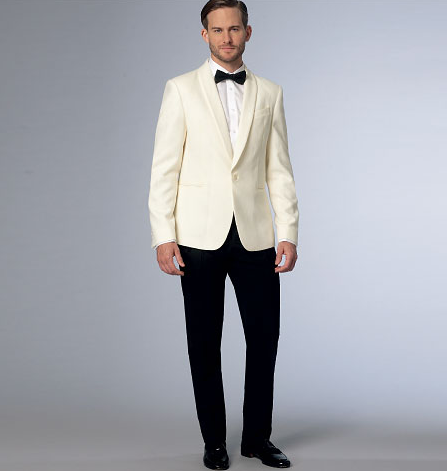 Like the angled jacket front. V9082 – Vintage Vogue. Super cute. 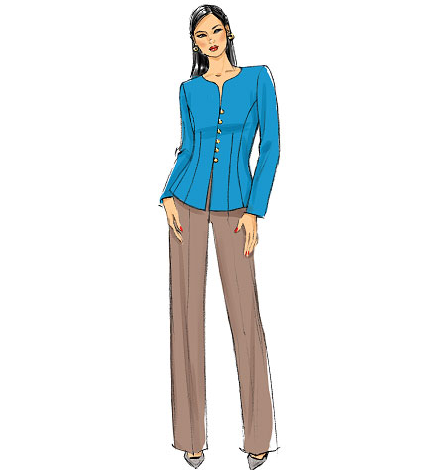 or more classy with the cute cropped jacket. V9083 – Vintage Vogue. Really like this pattern as well. 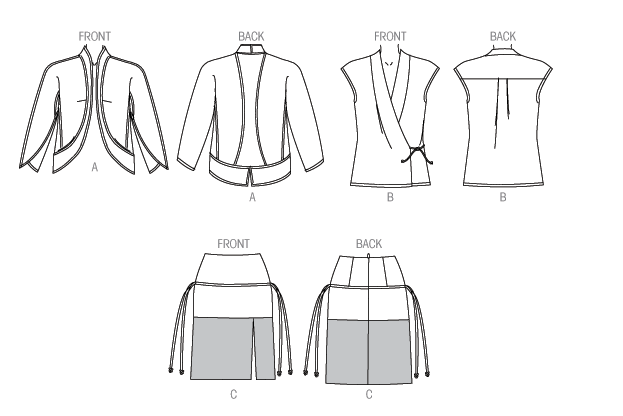 but looks like it is part of the jacket when it is worn. Very interesting design detail. 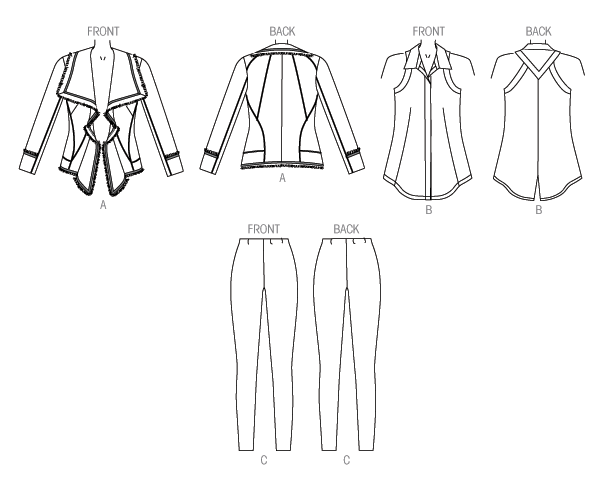 V1442 – Today’s Fit by Sandra Betzina. A bit ambivalent here. 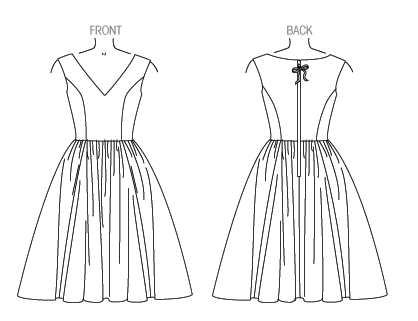 I feel like the line drawing excites me more than the actual dress. made into a rather cute party dress. V9085 – Very Easy Vogue. 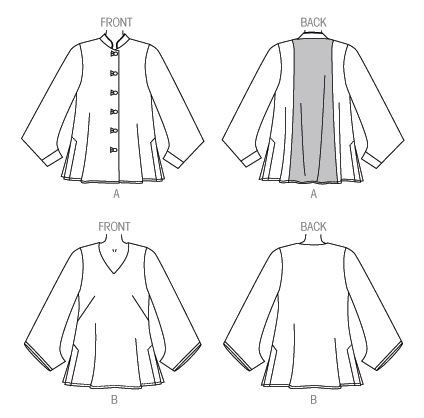 Simple tunic. Is fine. V9092 – Very Easy Vogue with Custom Fit. Sort of meh on this one. almost like a skirt. Not sure that they would look good on me. V9075 – Very Easy Vogue. Love that this can be a dress or a jumpsuit. 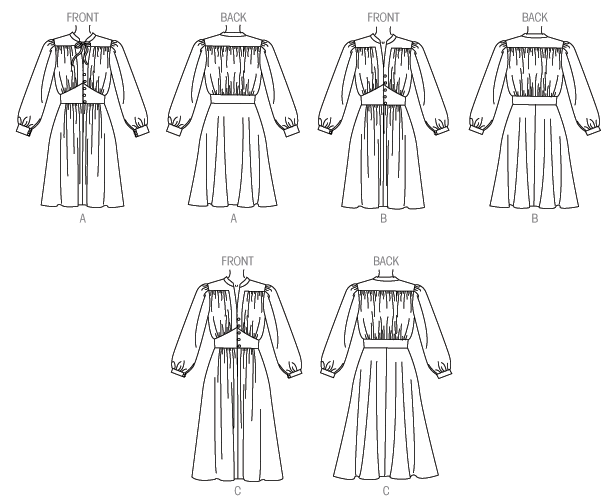 V9076 – A very 70s looking button front dress. I’m.. oddly digging this. 70s is one of my eras, apparently. 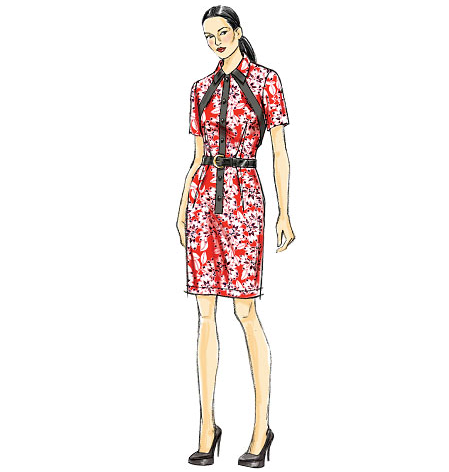 V9077 – Button front sheath dress with contrast details. Fairly cute. 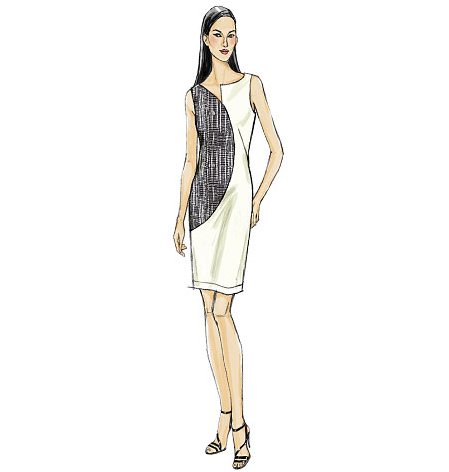 V9079 – Sheath dress with color blocking contrast. 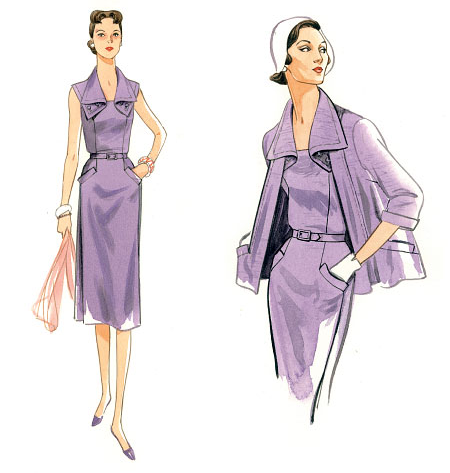 I really like the interesting shape of the collar that the color blocking makes. 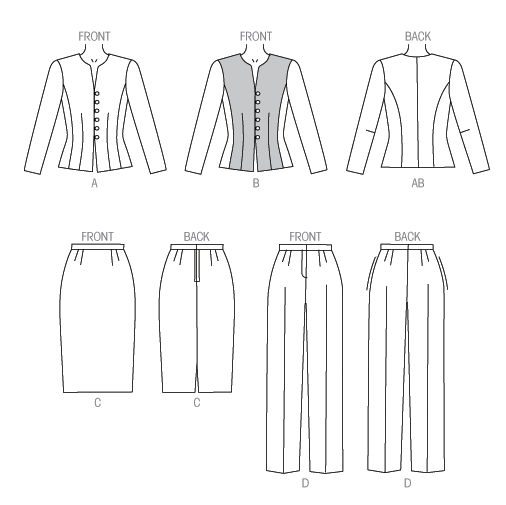 V9095 – Classic Little French Jacket pattern. Nice lines if one if going for a really classic shape. Love the view with the collar as well. V9093 – Very Easy Vogue. Lots of nice lines for fit adjustments. 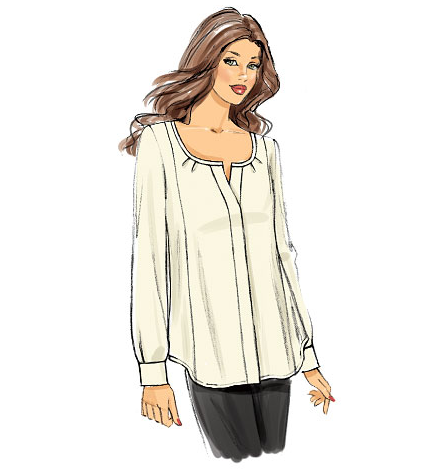 V9086 – Nice basic blouse. 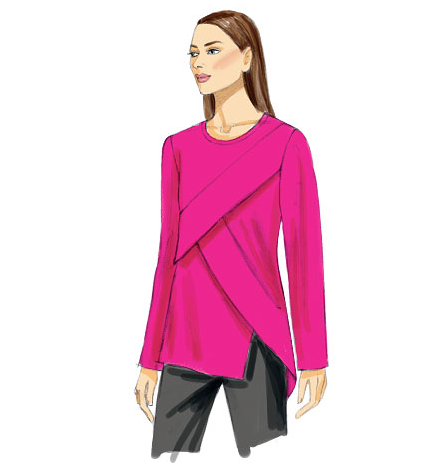 V9087 – My first thought was that this is a pretty cool looking top. a slightly more pronounced bust line. V9084 – Very Easy Vogue. Guess peplums are still a thing? V9090 – Nice pleated skirt. Nothing overly exciting, but cute. Comes in several length options. 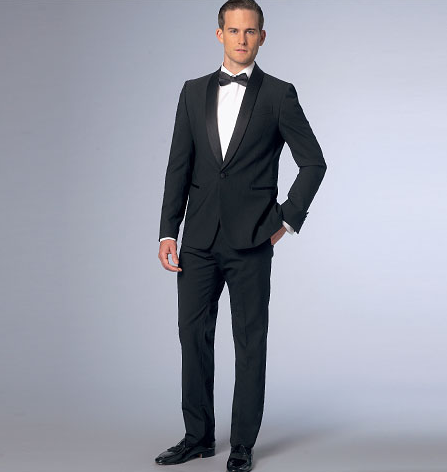 V9097 – Tux for guys. Love the classy shawl collar. V9098 – Mary Jo Hiney. 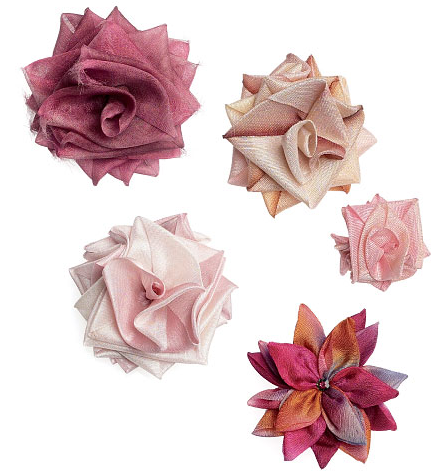 Pattern to make fabric flowers. Could be fun for some more crafty projects. 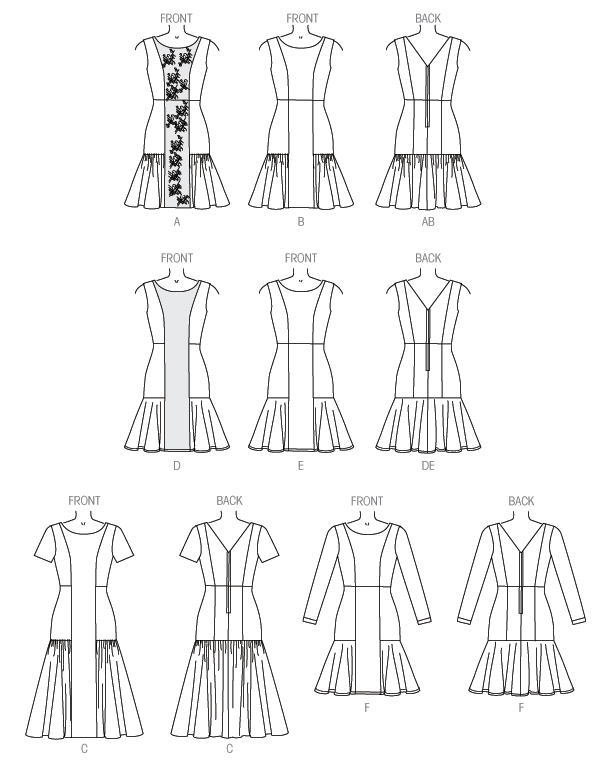 My initial impression on the overview page was sort of meh, but upon closer inspection I’m finding way too many patterns that I want to add to my stash. There are some really lovely details in this collection that I’m very excited about. 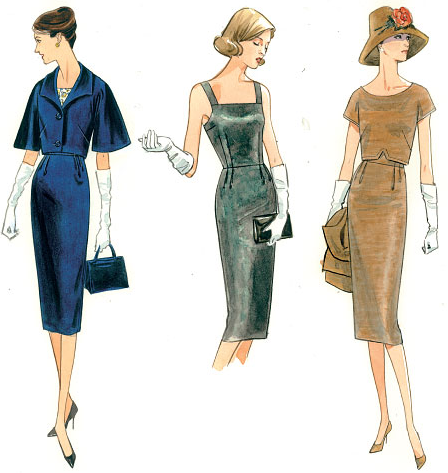 The Kay Unger dress (1432) is a stand out to me, but I’m also going into covet mode for that Donna Karen jacket (1440). 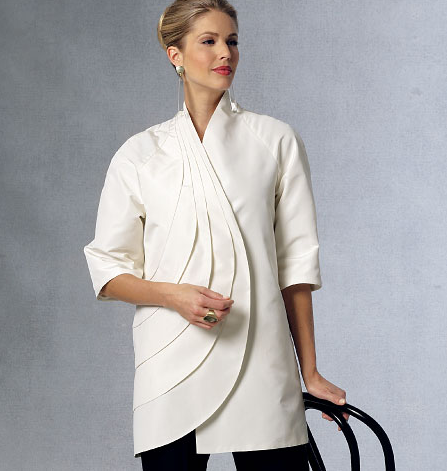 And the Ralph Rucci (1437) as well – it looks super cool, but also super wearable, which is really exciting. 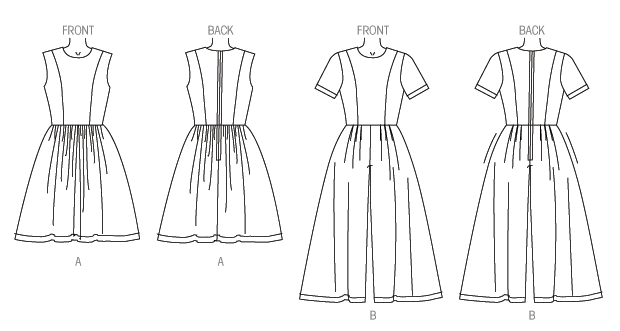 I’m trying to convince myself that I don’t need patterns for really basic princess seamed party dresses, but I’m sort of failing. What do you all think? See anything you need to add to your stash? Or is this collection full of a lot of misses for you? Feel free to discuss in the comments! Interesting stuff again. 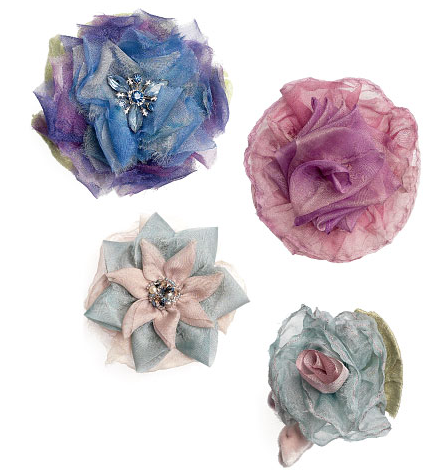 I also like the Koos designs, but can't ever imagine making one or even wearing it! 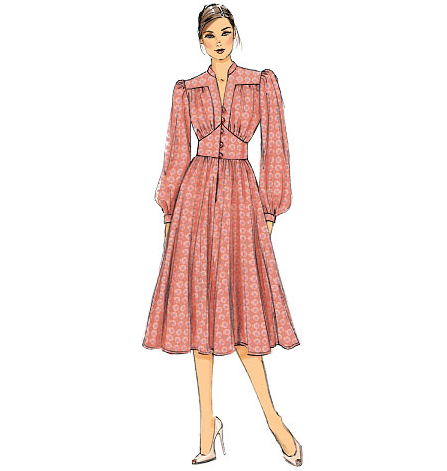 I'm with you–I'm pretty ambivalent about the collection in general (with the possible exception of the Kay Unger dress–beautiful and flattering!). 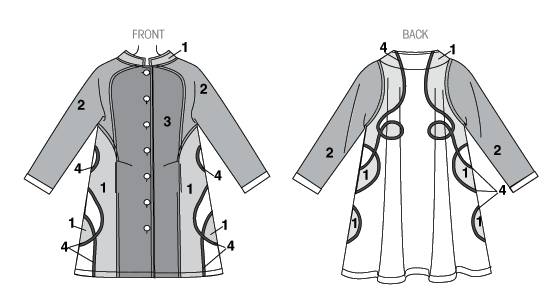 I found that most of the garments with cool seaming are unflattering–the first Tom and Linda Platt jacket you mentioned, for instance. I wish I were more in love with the collection! I really like this one. There's so much I can see myself wearing. And so many pairs of trousers which is long overdue!